Business Insights: Essentials - allows you to research and analyze companies and industries around the world. 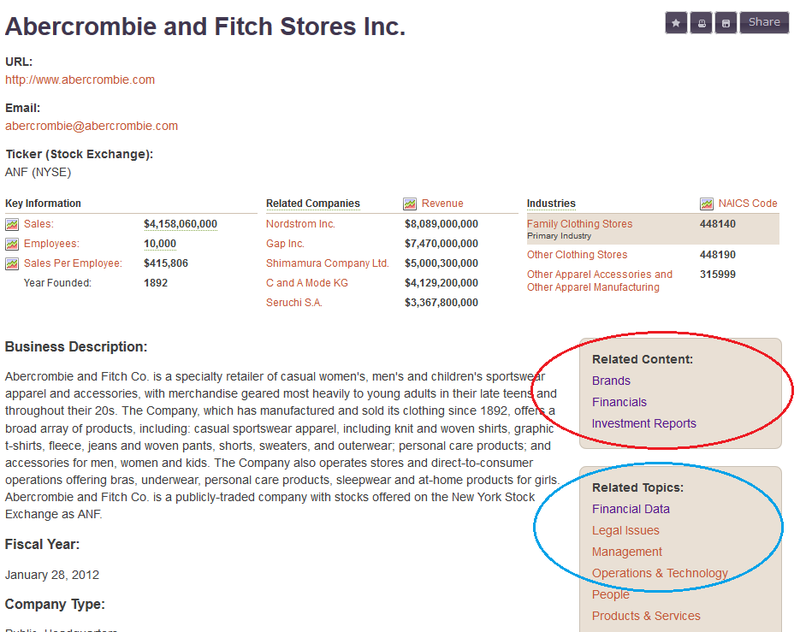 "Related Content" on the lower right hand side of the screen (see red circle below) will take you to information from the basic entry for this company in Gale's Business Insights: Essentials Collection. If you see another link below this box, for "Related Topics" (see blue circle below), you can click to view additional documents about the company, just note that some of these links take you out of Gale Business Insights: Essentials and into a related, third-party content provider.